Dr Sojitra was educated in London, and then studied further at Birmingham University gaining her qualification of Batchelor of Dental Surgery in the year 2000. Following this she completed further training in London prior to working for Abbey Dental as a fully qualified Dental Surgeon. Dr Sojitra has a vast amount of knowledge and experience combined with fine clinical skills. This includes all aspects of general dentistry including emergency treatment. In addition to her broad knowledge base, she has a particular interest in cosmetic dentistry and endodontics. Languages spoken are: English, Gujrati, and Hindi. Dr Kansagra graduated from Cardiff University in 2010. After completing further training in Wales, she went on to work for Queensland Health in Australia, practicing in a Hospital Dental Clinic. Since returning she has worked in general practice. Dr Kansagra is known for her caring and gentle approach, and will ensure to build excellent rapport with all her patients. Her interests include the treatment of nervous patients and children. She is committed to CPD and further training; and through examinations she has been awarded membership of the Joint Dental Faculties by the Royal College of Surgeons of England. Dr Kansagra is also a certified provider of the Inman Aligner orthodontic system. Additional languages spoken: Gujarati, Spanish. Janki graduated from Kings College London Dental Institute in 2013. Since then she has completed further training in London and has been working in general practice. Janki has a keen interest in further education and has recently completed Membership of the Faculty of Dental Surgery Postgraduate Examinations. She is a Member of the British Dental Association. Janki is known for her calm and collective nature and is sure to put all her patients at ease. Her interests include restorative dentistry and treatment of children. Maryam grew up in Iran and later studied dentistry at Bart's and the London Hospital. Following her graduation in 1999, she completed vocational training in Wales. Since then Maryam has been working in general practice and Domiciliary. Over the years Maryam has attended many different courses such as an Aesthetic Restorative course at Kew led by Mr Stean and the Inman Aligner Certification Course. 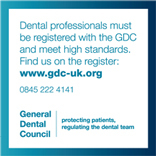 She is a member of the British Dental Association. Maryam enjoys all aspects of dentistry, especially Oral Surgery and Endodontics. Putting patients at ease and reducing their level of anxiety and fear is of prime importance to her, and she will do her best to achieve this. Amina qualified at the Royal London Dental School after studying Biomedical Sciences at the University of Essex and working within medical microbiology at Southend University Hospital. She has since worked in general dental practice within London and Essex and continues her professional development by attending regular courses. As a dentist, Amina actively encourages her patients to understand how best to improve their dental health, promoting good oral hygiene and providing treatment in a calm and caring manner. Amina takes time to explain treatment options, outcomes and steps to her patients so that they are fully informed and confident in their choices. Amina enjoys the variety involved general dentistry from simple oral hygiene education to oral surgery. She also enjoys turning a dentist visit into a positive experiences for her nervous patients and children.